Welcome to my Super Affiliate System review. On this review, you can see what is inside the program and how it works. The Super Affiliate System is a training course on paid ads created by John Crestani. If you have heard John before then, you may be familiar with his other program Internet Jetset. These two programs help people who want to make money and beginner affiliate marketers to get started online. While Super Affiliate System is an upsell of Internet Jetset, it is a completely different training course. More specific Internet Jetset teaches you free ways to get traffic with affiliate marketing and Super Affiliate System focus only on paid advertising. The Super Affiliate System is a 7-week course that shows you basic and advanced techniques you can use to promote your business on the biggest sites of the internet like Google and Facebook. It was a 12-week course but after the last update, some of the training videos added on the basic program of Internet Jetset. Now it’s a 7-week program but new training weeks are coming soon. The training is in video format created by John Crestani but in some of the videos, you can see other successful affiliate marketers like Ronnie Sandlin who shows on the camera how he creates an advertorial. With a few words, you will learn from the best affiliate marketers in the world. John Crestani spends 10’s of thousands of dollars daily on paid ads and he has built a successful business using the techniques you will learn in this course. In my opinion, the Super Affiliate System will help you to build a profitable affiliate marketing business if you go through the training and take action. Who is Super Affiliate System intended to help? I mentioned above that is going to help people who want to make money online and beginner affiliate marketers. You will learn how to work as an affiliate marketer and you will change your mindset to achieve your goals. 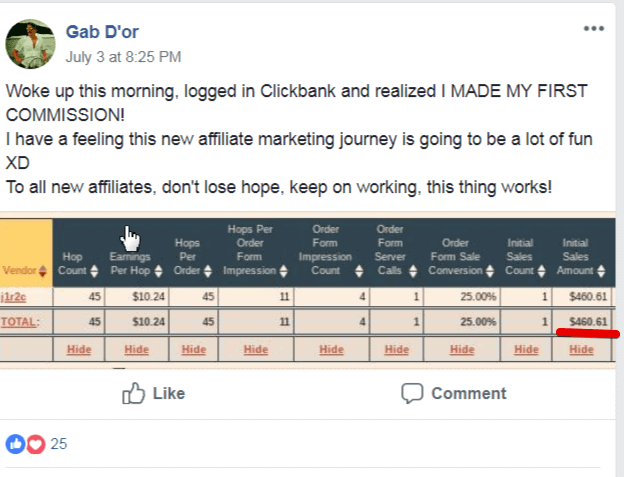 I was a blogger and affiliate marketer before joining this program and it really helped to improve my conversions and my sales. If it has helped me, then it can make a massive change to people who have never made a sale before or they cannot create a profitable campaign. For those who want to start an online business but they do not afford the price, you can find many free ways to get started on the Internet Jetset without buying the Super Affiliate System. Most people are not patient enough to learn the process and set up their own campaigns. So, this quick set up can help anyone to start fast and see how the system works. To create the presell page and your Facebook Ads campaign you can use the resources of the program. The goal here is to make some quick wins and get motivated to move forward. This campaign works and you can see many success posts on the Facebook of the program. You can get the link for the group when you get inside the program. As you can see, these are screenshots for people who has just started with the affiliate marketing. After your first sales, you want to watch the training and be teachable. It is a seven-week program full of new information. Here are the titles of the seven weeks. It is a step by step system starting from the very basics and moving to the most advanced information. 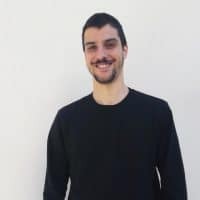 For example, you start by setting goals and learn the basics for the affiliate programs and you go to the scaling and automation lessons after 6-weeks. The good news is that John Crestani keeps updating the system every and adds new videos or resources when is needed. Also, you can see him teaching all the courses and there are helpful videos from other top affiliate marketers or links with useful resources. It is a high-cost program to buy but you can start low with Internet Jetset. About the cost, I can say that it’s worth the price only if you are sure you can apply everything you learn. No one guarantees any results but until now, there are positive stats from the members of the program. Also, the webinars are hosted by John Crestani who talks directly with the members of the program. It is not only the high price of the program but there are affiliate links as well. There is an ad on the top of the screen that says “if you want 1-on-1 help join the recommended affiliate program”. A few weeks earlier on this ad was the Mobe program which is now closed and under investigation by the FTC. Now, he recommends AWOL Academy, another program with high upsells that cost thousands of dollars. To summarize this review, there are pros and cons. 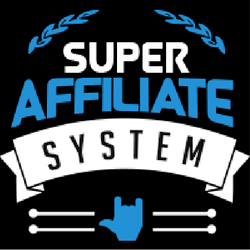 The Super Affiliate System is a legit program with regular updates and resources that work. John Crestani has created a great program. However, I do not like the upsells and the affiliate links on high priced programs. It’s up to you to decide what is the best option and how you want to get started. The fact is that you do not need all the upsells and the recommended affiliate program to make money. Or you can buy the system here! Thanks for reading my Super Affiliate System review. For any questions about the program, you can leave your comments below.